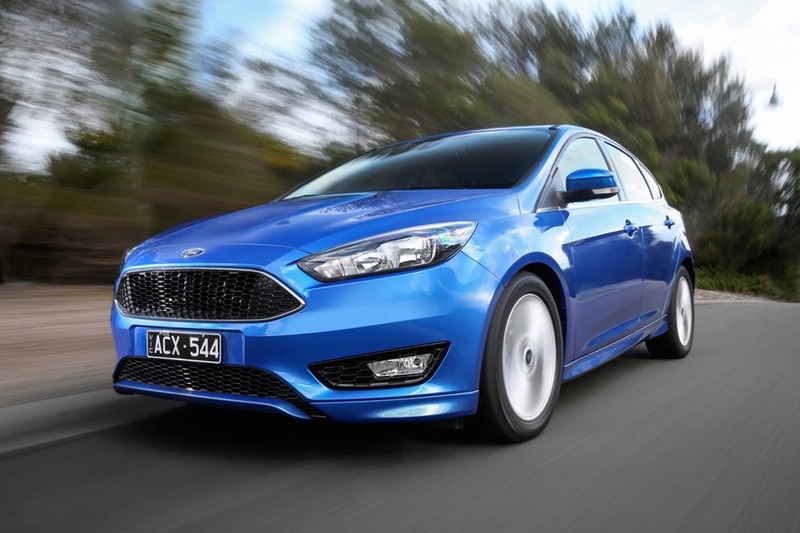 Ford Focus Slips Under Buyer’s Radar, But Should It? I’m fond of Focus even though she is getting a bit long in the tooth. The mid-life freshen-up got a new front end which eliminated the big gap between the grille and bonnet in the old model. No matter how long you owned the car for, you would always check twice to make sure the damned thing was properly latched. The outside changes are minimal and the inside changes are mainly in the dash and console. The old Sync infotainment system littered the console with more buttons than Mission Control. It was dreadful to use with a completely inadequate 4” LCD screen that you had to rope down Hubble to see. The voice control was more cantankerous than a grumpy old man with sleep deprivation and a bad case of piles. It was just diabolical. SYNC II has much nicer 8” screen and has banished the bewildering sea of buttons to a menu system. Those who remember the 1st generation of BMW iDrive will know how far electronic controls have come. The central control knob is a little on the cheap side but all is forgiven once the system bursts into life. The screen is divided into 4 quadrants making the 4 main functions always available. It also means the temperature, radio station, street name and phone name are visible for direct selection. I like that a lot. Voice control is still in pugnacious form. It makes changing radio stations or cabin temperature slower than building a cathedral in the 14th century. You can voice input Satnav instructions if you have the patience of a saint. You have to use only the commands the system understands and in the order it demands. There will be times when you want to slam a fist on the dash in spasmodic frustration, but “please repeat” will be uttered relentlessly no matter how hard you try. The ads on TV make it look easy but you’ll notice they never show the command being executed in the same shot. SYNC III will use SIRI but for the time being you’re stuck with the car based system. Remember, the clever bit of SIRI is done in the cloud so all car-based systems will be found wanting. Mustang will have SYNC 3 from MY17 (model year 2017). The audio sound is respectable from a compact hatch but of course can always be better. I like a bit of bass, but the rest of the range has to be clear and rich too. Although the console looks much neater, it’s still a mess-fest with bits poking out all over the place. 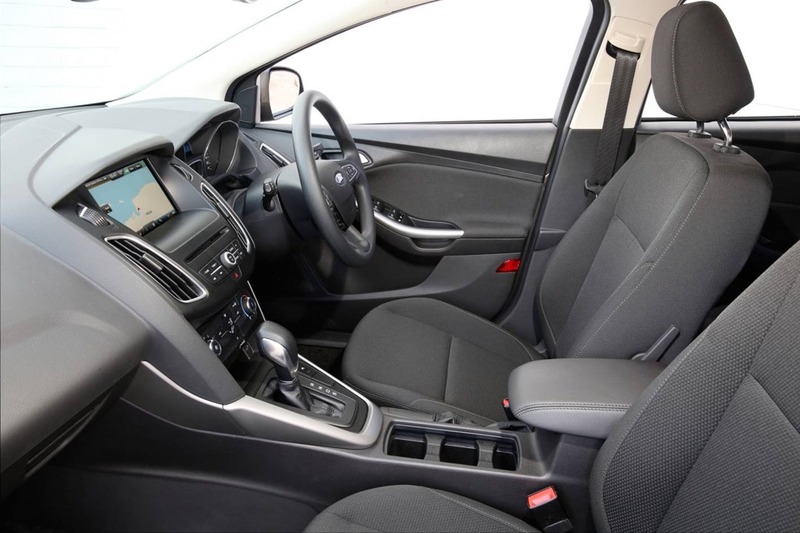 The interior is aging much like the GM’s Astra and Cascada. With models nearing the end of life, very little effort is put into interiors. The one exception is the brilliant Commodore, but Focus is just feeling a little last week. 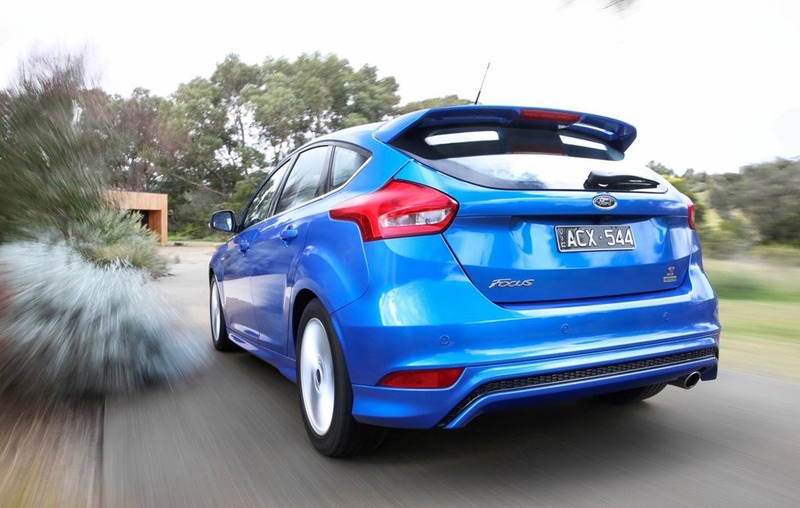 At around $30,000, the Sport model on the road hasn’t got a lot of the cool stuff you find in the Focus Titanium. You miss out on radar cruise control, auto parking, blind spot monitoring, and cross traffic warning/reversing camera. Despair not, there is still plenty of kit with: smart entry/start, auto climate control, and auto lights/wipers so you’re not totally bereft of goodies. 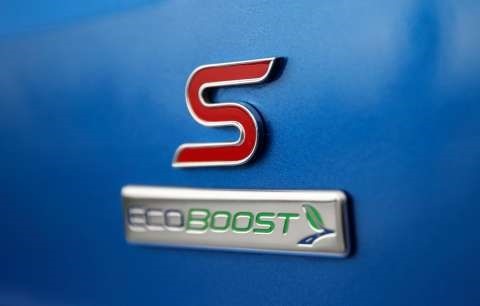 The 132kw/240Nm 1.5L Ecoboost petrol turbo is standard across the range, and comes with a 6 speed manual or auto depending on the model. Our Sport had a beautifully smooth auto, but there are no paddles for manual changes. There is a “sport” setting by shifting the gear lever to “S”, but manual changes are by an up/down toggle on the side of the gear lever. It feels wrong and is hard to use. It is probably why no other brands do it. On the road, the Focus feels fairly smooth. I took the opportunity take a couple of friends out. They have a 4-year-old pre-facelift Titanium. They say the ride is now much smoother, and the turning circle much tighter than in their Focus. 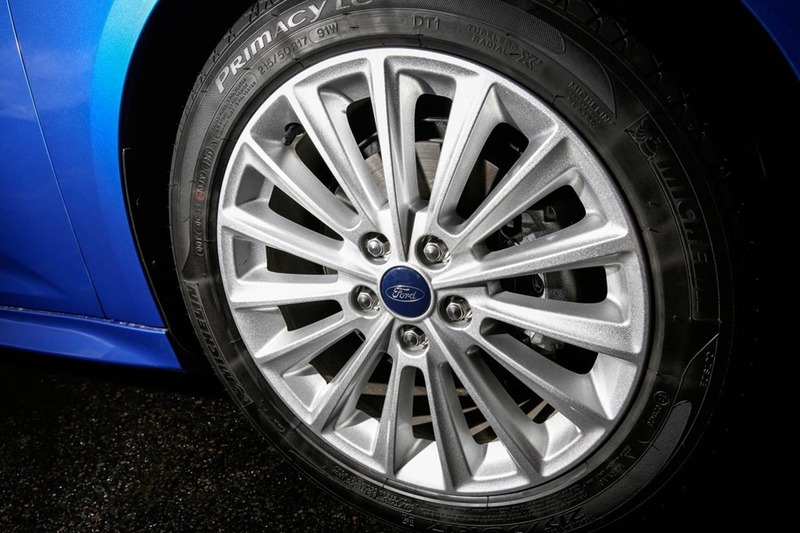 The steering is considerably lighter too making the 2016 model an all-round good-guy. 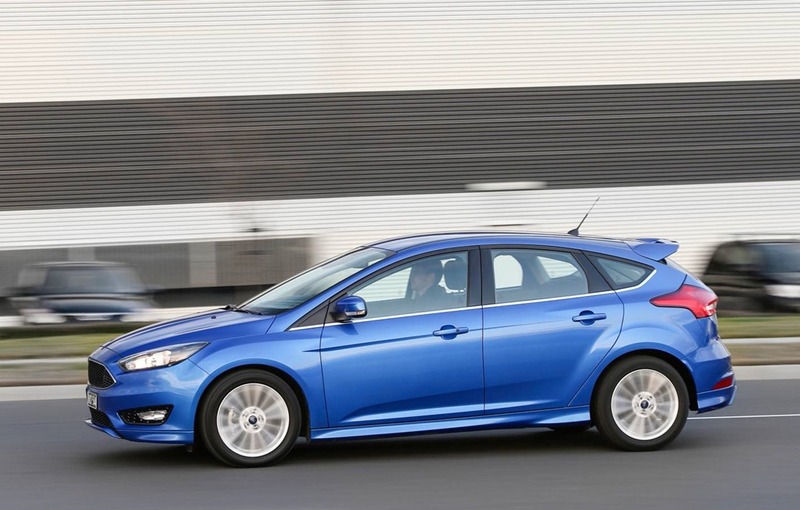 Ford say the Focus has a sporty chassis. Those are the kinds of words whose ubiquity dilutes the meaning. The ride is aimed at comfort. The softness that is comforting round town makes heavy cornering a challenge. You can certainly push the old girl but there is much rolling body as the cornering tighens. The chassis just isn’t as tight as the magnificent ST which costs many more shekels. The tight bends and sweeping curves of the Royal National Park were fun but by no means thrilling. You could easily do a road trip or weekend away in relative comfort. It passes the 4 beefy lads test, 5 if all are very close friends. The boot will take 3 overnight bags with plenty of room to spare. I like the Focus Sport. It feels roomy and has a lot of features, but it lacks the X factor. It’s good value if all you want is comfort. The drive is good, not exciting, but good. Most of us don’t carry a heap of people round with us so the space not tested to the limit. I’ve been surprised at what I’ve managed to fit into a Focus. On one airport run, the incoming guests had bags the size of small shipping containers. With 3 people and many very large bags, the Focus bulged without complaint. It doesn’t feel quite as modern or as sharp as the Golf, then of course there is Peugeot’s 308 which looks chic in that French way. The exterior of the Focus just looks a bit old. If I was to pack my hunny and a couple of overnight bags for a naughty weekend, I’d rather take the Fiesta ST. Focus is far more comfortable but nowhere near as engaging as the Fiesta ST. 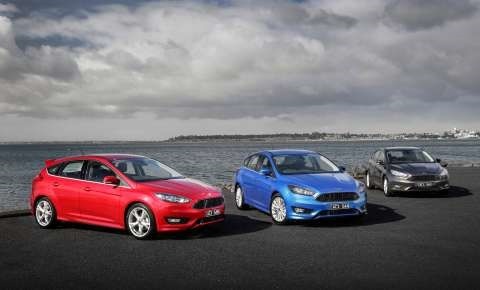 The Fiesta ST is roughly the same price as Focus Sport, and is only a smidge smaller. Sadly, it only has the first generation of SYNC. In the interests of disclosure, it’s necessary to mention the previous week had been spent in a red V8 Mustang GT. I loved it so much that few cars after it would feel anything other than slightly dreary. Would I buy one? No, I’d rather the Fiesta ST, or for $14,000 more, the Focus ST which we love love love. The Sport is just way too vanilla for my tastes, but there is a market it will appeal to.